If you are reading this then you are probably looking to buy a new replica watch, a new stylish timepiece that will complement your look. The only problem here would be the place where you buy it from. This is the greatest problem when ordering replicas online: what is the most reputable online store? What website carries the best watches? And does it offer decent services? Frankly, there are only a few e-shops that provide proper quality and services and it is our job to find out which ones these are. Watchescosy.com got my attention today and I am determined to see if it is one of the good guys of the replica watches industry or simply another inferior retailer. The company’s website is common looking. I am very serious about the aesthetics of a webpage and this is because it is the first thing you see when you access an online store. It is the first impression, the calling card of that e-shop and it needs to express how professional, serious and reliable the company really is. Unfortunately, the homepage is not that good looking. It is simple, slightly tiresome on the eye and fade due to the grayish color scheme. The layout is as plain as it gets. 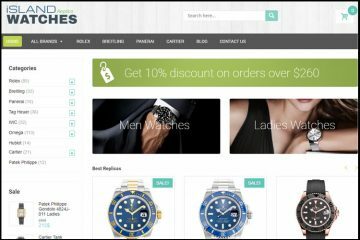 There is a menu bar on the top of the page with links to the most important categories like Watch Brands, Men’s Watches, Women’s Watches and Special Watches. And below the menu bar there is a large sliding banner. The problem is that even the banner is gray. Everything is too dull, too boring. 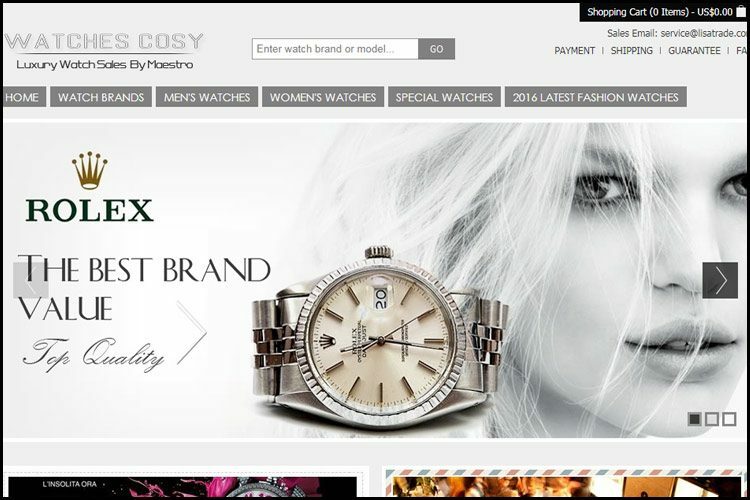 Watchescosy.com carries a very large number of brands. These can be accessed by moving the cursor over the Watches Brands button from the top menu bar. This offers a better usability of the site. It allows you to easily access the desired brand and view the products in a few clicks. The collections are impressively large. Every category includes hundreds of models, some of the most popular watches ever created. Luckily, browsing the items is not that difficult or time consuming as there is an Advanced Search bar in the left side of the screen which allows you to filter the replicas by Gender, Movement, Case shape, Band material, Band color, Dial color, Case material and Bezel material. Now it’s time to speak about one of the important aspects of buying a replica watch online: money. How much do these replicas cost? Well, I can tell you for sure that these are not the priciest or the cheapest knockoffs on the Internet. All the watches seem to be equipped with an automatic Japanese movement. I wasn’t able to find Swiss ETA replicas on the website. And the prices vary between $200 and $300 depending on the materials and popularity of the design. The photos available for these replica watches tell us a lot about the company’s professionalism, but also about the quality of the products. Just by seeing the fact that these pictures were taken in at least 4 different studios you have the certainty that the website is not that serious about its business and customer’s satisfaction. Some images look like they were copied from the original catalogs whereas some are unprofessional photos taken with a low quality camera. This shows that the merchant doesn’t have its own studio photos of the replicas and that it uses pictures copied from many different sources. I am very picky when it comes to the aesthetics of my watches. I like my replicas as authentic looking as possible and I spend a lot of time studying these watches to make sure this is what I get. 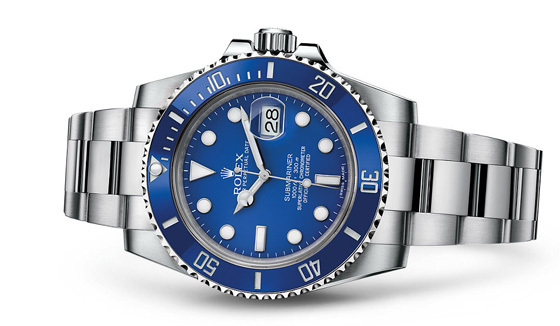 If we compare the picture of one of the fake Rolex Submariner watches displayed on Watchescosy.com with the one of the original timepiece then we see that these look pretty much the same. There is no visible difference. From what I can tell, this is a very good replica. What is your preferred payment option for online orders? For me it is credit card, buy I also like to know that there are other options available, that the company is reputable enough to be able to provide alternatives. In this case, besides Visa, Mastercard and JCB you can also pay with Bank transfer and the really neat thing about the last option is that it brings you a 20% discount. Another important thing about the payment process is that the page where you have to enter your credit card info is not encrypted with the https protocol and this makes it possible for hackers to access the private details you are entering on the site. So, maybe, in this case, bank transfer is the best available option. Watchescosy.com offers free delivery regardless of the destination country. Of course, do not expect to get DHL delivery for this price. All the packages are dispatched with EMS and the estimated delivery time is about 7-10 business days. Also, some of the packages are sent with Hong Kong post which takes even 15-20 days to deliver your order. 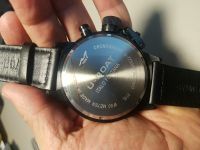 If this seems like an awful long time for receiving a replica watch then you can contact the company and offer to pay extra for delivering the products with something faster, like DHL, FEDEX or TNT. Supposedly, the company’s customer service agents are available by email, MSN and Skype. 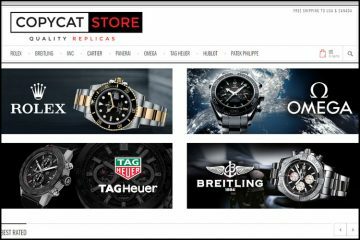 These are the communication channels that you can use to get an answer to your questions regarding the products, services and other details related to the process of buying one of its replica watches. The emails are answered in 24 hours, but it does not say what the business hours are for its Skype and MSN customer services. Having a Skype and MSN account sounds pretty good as these are highly responsive and easy to use, but I can’t help but notice that a phone number or Live Chat button would have been a lot more professional looking. 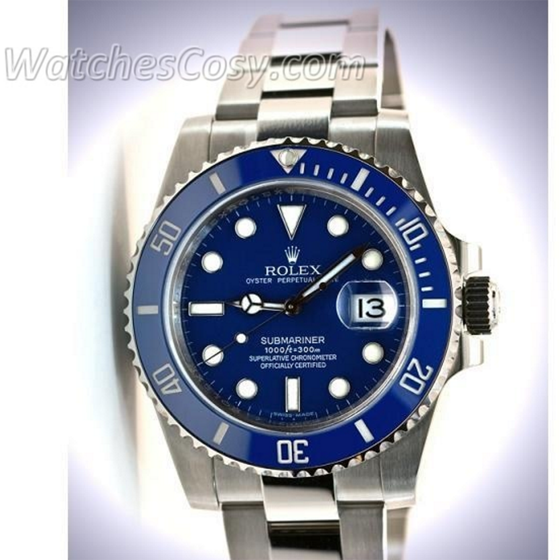 Watchescosy.com is a very interesting option for ordering replica watches online. 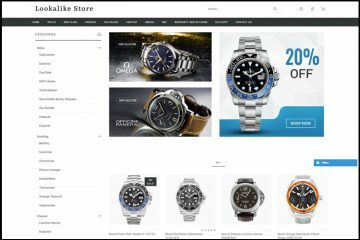 On this website we find a very large collection of fake timepieces, the prices are not too low or too high, the product pictures are copied from several different catalogs, the delivery is free of charge, the 7 days return policy has its ups and downs, the customer service is acceptable and the credit card payment page is not secure. 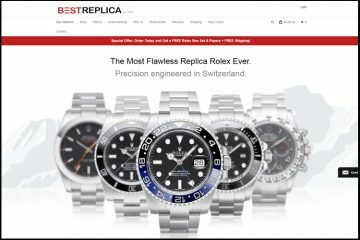 Just like any other replica watches online store, it isn’t 100% professional or trustworthy, but it has a few things that get our attention and make us wonder if it is really worth ordering its knockoffs. The thing is that in the end the decision is yours and yours alone. Did anyone buy a watch from them ? I am looking to buy one Hami but I can`t find any review of watchescosy on the internet apart from the one above. How long is this webpage on the internet ? I want a Rolex watch and extra box and booklet, will you supply that? I had the same experience! The watches they have are not of the same standard or even close to the look of the watches on the website. You cannot pay with PayPal. I’m waiting for refund all they say is that they can’t control how long the bank takes! Avoid! Absolutely amazing that their website is allowed to run. Very bad service. I order an automatic watrch but they sent me a very cheap replica (of course not automatic). I asked my money back but I don’t receive an answer anymore. Not received my refund after the watch I ordered wasn’t even in stock, they send you a picture of a watch that doesn’t even look anything like the one on the website. Requested a refund and have not seen my money. Stay away. Busy contacting authorities to try retrieve my money. How is this website allowed to run??? Another indication that these are Rip Off Artists, my credit card payment wouldn’t go through. I called the bank to let them know I was going to make an international transaction and it still didn’t go through. Mean while Watchescosy.com/ customer service notices that my charges have failed, so the very happily offered a 20% discount if I did a direct wire transfer or paid by western union, another indictaion that these are rip off artists, pay them with cash and you will never see that money again, they know this, so they offer you a huge discount, never intending to send you anything or a refund if needed. About a month ago I ordered an Omega Seamaster professional from Watches cosy , Ipaid a few hundred extra to get the one with a swiss automatic movement. Thats not what I ordered! I don’t want a Chinese movement, thats why I paid extra for the swiss! so I asked for a refund the very next day! Weeks went buy, emails back and forth, with typical delay tactics, Total B.S, they never intended to refund my payment. Then a few days ago I got an out of office response, we are on Holiday, I happen to know Chinese newYear isn’t for another 2 weeks. DO Not Trust These Peaople With your Money, they use false advbertizing and lies to cheat you out of your money, then they hide behind the international barrier, like it’s going to do them any good. I called my bank before the transaction just to make sure I was covered incase they tried to rip me off, which they did, so I field a disputed transaction report and will eventually get me money back. Watchescosy.com is a low down dirty lying cheat of a business that will go to no trouble to RIP YPU OFF! Steal your money! lie tou you, false advertise to you, with the most disshonost intentions, the best thing you can do is steel clear and tell all your frieds that they are RIP OFF ARTISTS! Out to Steal your money!!! A few weeks ago I ordered an Omega Seamaster professional from watchescosy.com , I paid a few hundred extra to get the one with a swiss automatic movement. Weeks went buy, emails back and forth, with typical delay tactics, Total B.S, they never intended to refund my payment. Then a few days ago I started getting out of office responses, we are on Holiday, I happen to know Chinese newYear isn’t for another 2 weeks. I called my bank before the transaction just to make sure I was covered incase they tried to rip me off, which they did. watchescosy.com is a low down dirty lying cheat of a business that will go to no trouble to RIP YOU OFF! Steal your money! lie to you, false advertise to you, with the most dishonest intentions, the best thing you can do is steel clear and tell all your friends that they are RIP OFF ARTISTS! Out to Steal your money!! !